Richard Acree is the Founder of ADA Inspections Nationwide, LLC. As the founder Richard is also a consultant providing ADA Inspections and expert witness services for clients across the nation. Richard is not a lawyer. He is an experienced professional ADA Accessibility Inspector and consultant offering thorough inspections and written reports to help clients understand and implement the guidelines provided by ADA Standards. Richard is a CAPS certified residential accessibility consultant for people wishing to improve the accessibility in their homes. For those who prefer to remain in their homes as they age, or for those who may be medically limited in mobility, permanently or temporarily, residential accessibility is important to allow them to live at home versus moving to assisted living. Richard is a 20 year military veteran of the United States Air Force where he served 10 years in the Civil Engineering department. Richard has significant education in the disciplines of engineering, building inspections and business management. He graduated from The University of South Carolina with a Bachelor of Science degree in Civil Engineering. He graduated from Michigan Technological University with a Masters of Science degree in Business Administration. From 2005 through 2017 Richard owned and operated a business as a licensed home inspector and a commercial building inspector. As a commercial building inspector Richard completed numerous ADA Inspections on many different types of commercial buildings. His engineering experience includes project design, plans and specification reviews, and marketing management. Richard Acree is also certified as ADA Coordinator (ADAC) by the ADA Coordinator Training Certification Program (ACTCP). ACTCP is a unique program offered by the Great Plains ADA Center and the University of Missouri that is designed to meet the training and professional needs of ADA Coordinators. The Great Plains ADA Center and the University of Missouri School of Health Professions Disability Studies and Policy Center formed an Advisory Board of experienced ADA Coordinators, met with focus groups and conducted surveys of ADA Coordinators, to develope the ADA Coordinator Training Certification Program. As an ADA Compliance Inspector for Title II and Title III facilities, Richard needs to understand the role and responsibilities of an ADA Coordinator. Completion of the ACTCP certification combines with Richard's license as a home inspector, certification as a commercial building inspector, Bachelor of Science in Civil Engineering, and Masters of Science in Business Administration, to provide a wide range of education, training, and experience as an ADA Compliance Inspector. The mission of ADA Inspections Nationwide, LLC, (ADAIN) is to provide reliable and quality inspections for compliance with the 2010 ADA Standards for Accessible Design (2010 Standards) promulgated by the United States Department of Justice (DOJ) for commercial and government building, and residential accessibility services for home owners and tenants. ADA inspections are designed to comply with the American Society for Testing and Materials (ASTM), ASTM E 2018. The American Society for Testing and Materials is the leader in the industry for guidance on how to complete a commercial building inspections including ADA. ADA inspections are completed based on education, training, and experience inspecting buildings overall, but then the 2010 Standards are applied using checklists specifically designed for ADA compliance. For instance, a door may satisfy ADA compliance based on design and installation, but if the door is damaged or deteriorated in such a way as to interfere with the operation of the door, that issue will be revealed as part of the inspection. ADAIN also offers residential accessibility services as a CAPS consultant. These services are designed to help people of all ages and capabilities live in their homes safely for as long as they desire. 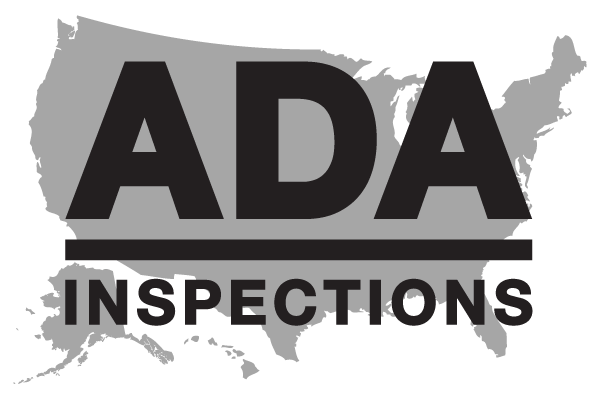 ADA Inspections Nationwide, LLC also offers expert witness services for ADA inspection issues. If necessary, the ADA Inspection can be presented in a legal dispute as a component of these expert witness services. Richard provides training for employees and employers of businesses and for election polling places staff and workers. Richard is also available as a Guest Speaker for ADA issues and residential accessibility services.